A Treasure Valley trio are being held in the Ada County Jail after ACSO deputies found over 40 pounds of pot in their hotel room last week. Maxine Dearing, Lucas Graham, and James Rhodes are all charged with trafficking marijuana in connection with the case. Preliminary hearings are set for Dec. 7. 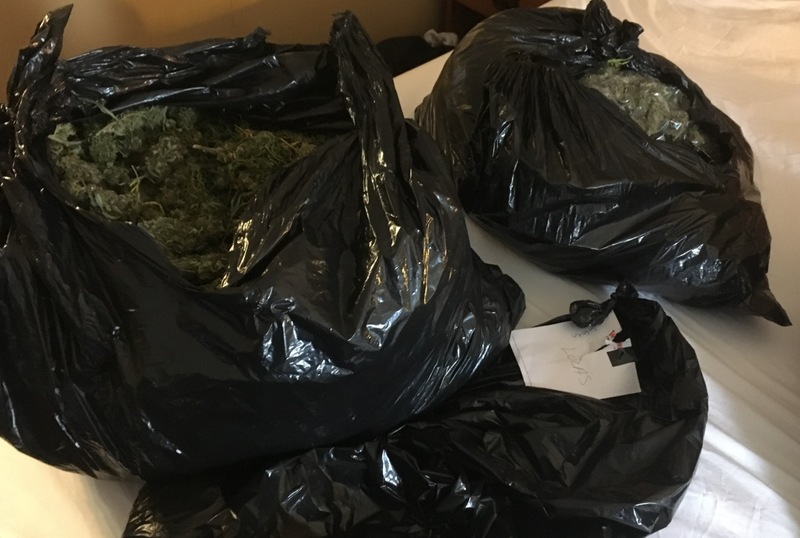 Deputies were called to a hotel in the 8000 block of W. Overland Road around 1 p.m. Nov. 22 to investigate a complaint about the smell of marijuana coming from a room. 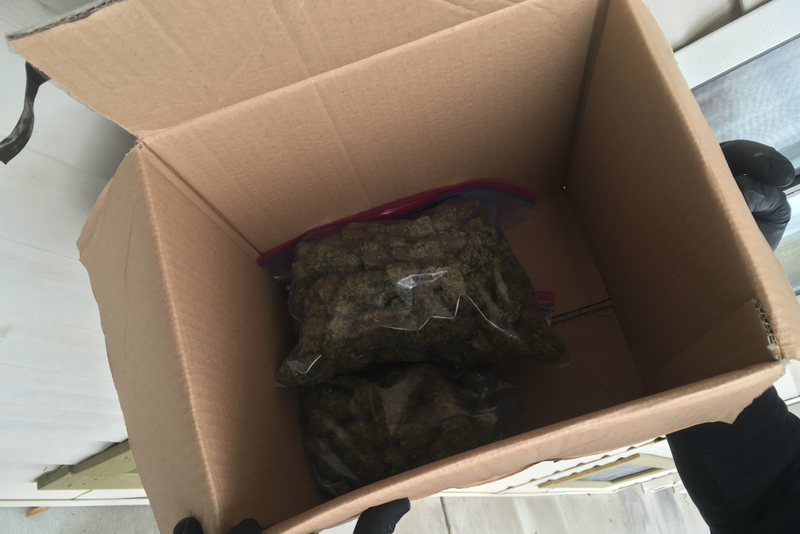 Deputies arrived to find the 36-year-old Dearing and 33-year-old Graham walking out of the room carrying a cardboard box, which had two plastic bags inside full of marijuana. After a short discussion, Dearing unlocked the door to the hotel room and deputies were about to enter when another man inside, later identified as 46-year-old Rhodes, pushed the door shut. Rhodes eventually opened the door after taking to deputies. When they went in, deputies saw marijuana residue all over Rhodes. Deputies then found several plastic garbage bags full of marijuana, a marijuana-trimming device, packaging materials like plastic bags, and various items of drug paraphernalia. All three were arrested and booked into the Ada County Jail. The crime of trafficking marijuana is punishable by up to 15 years in prison.